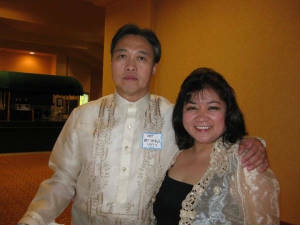 The Fourth Grand Reunion was held in Las Vegas, Nevada on August 14, 2010 at Tropicana Hotel. The fourth grand reunion held last August 2010 was a huge success. The organizing class, 1979 did an excellent job in making this event an event to remember. Thanks to the leadership of Rey de Vera, class 1977 who was the president. Most importantly, thank you to the nameless individuals who in one way or the other contributed to the success of this event.